What I am learning about grief is that there really seems to be no rhyme or reason nor any timeline it follows. For the last year and a half or so when a memory would sneak up on me I maybe would get misty eyes, smile, and then go on. The last few weeks the lonely feeling of missing my father is wanting to just hang around. The way my brain works I always want to understand the “why” in everything. There is so much happening in our country and in our world that would have deeply affected my father. Everyday I see something on the news that I feel a thankfulness that God has protected my kind hearted father from seeing. The day he was rushed to the Emergency Room I asked to go right in to see him. As I entered that ER room and saw his lifeless body I felt an overwhelming comfort that God took him on home to protect him. His face was completely relaxed, even with resuscitative tubing and wires he looked like there was no trauma, no pain, and only complete peace. He was now home with Jesus. A couple weeks ago I woke up feeling much like I am even again today. I just can’t stop crying. The desire to take a long walk and talk to my dad about so many things has been stronger than it’s been since he passed. This particular day I actually made mention of how I was feeling on social media. Sometimes I think we try to portray a false sense of what our lives are to the rest of the world and we don’t spend enough time being real. Not a feel sorry for me type of real or negative. Just a “hey I am human and life hurts sometimes” type of real. As I sat watching our youngest daughter and her friends swim that day this butterfly kept coming around and landing on me. It was gray underneath, but when it opened it’s wings I saw flashes of bright orange. 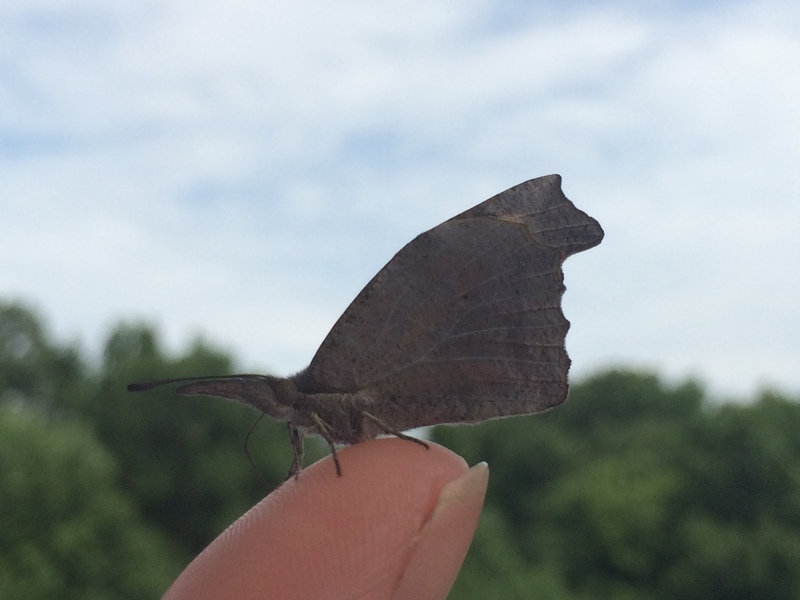 It kept landing on my hand and finally settled on my thumb for what had to at least have been five minutes. I was actually able to capture several pictures using my other hand. My thoughts were that this butterfly was a gift from God to bring comfort. My father was always big on walking and holding his little girls hands. He loved to hold my mother’s hand and each of his daughters hands. This butterfly demonstrated the same gentleness. I later posted a picture on social media and had friends who also had the immediate thought that this was my needed comfort sent straight from heaven that day. Another reason I am feeling sad I am sure is that another chapter of my parent’s life together is closing. Since I was the age of five my parents have gone camping in a town where they use to live in the very early years of their marriage. After thirty seven seasons and six different campers my mom has come to the conclusion that it is time to sell the current trailer. It is time and she has my full support, but I would be lying if I said it didn’t make me sad. My father loved to camp, fish, loved this campground, this town, and so many people in it. There are shadows and shadows of memories there and echoes of hours of laughter. My family and I just spent a couple days there as one last time to camp. While swimming in the campground pool something caught my eye. With a closer look there on the very edge of the pool was a butterfly just like this one. Cora noticed it too and said “hey that is the same kind of butterfly that was landing on you!” I smiled and said “yes, that is a Papa butterfly.” With that the butterfly took off briefly landed on a towel and was gone. 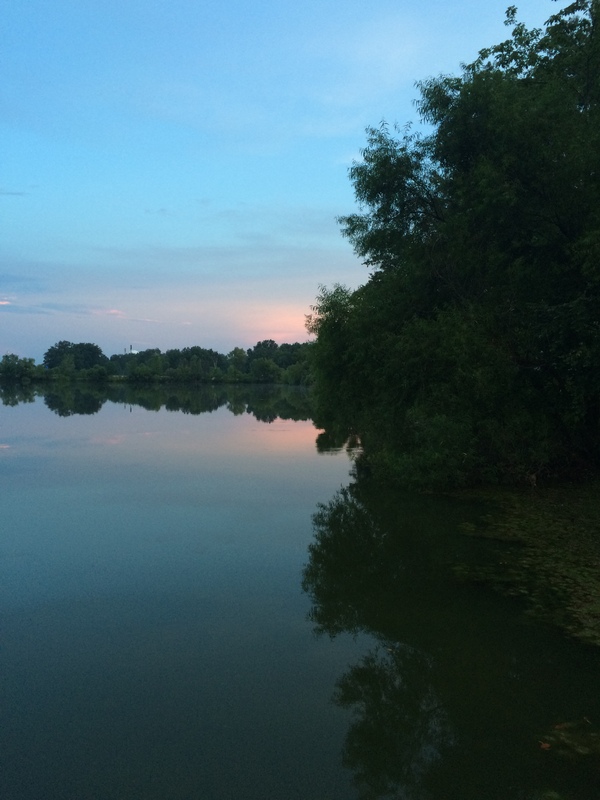 One evening while there I went down to the dock on the lake feeling this looming sense of loss and sadness. 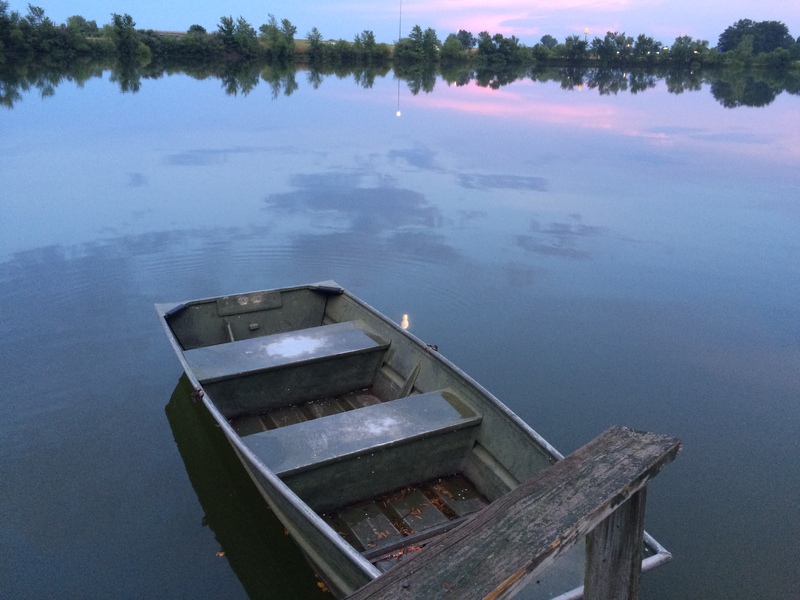 As I looked at the empty fishing boat my father spent hours in and the lake he had spent countless hours fishing in everything grew very still. The lake was reflective as I too reflected on so many memories. The silence and stillness God gave in that moment was yet again a precious gift and it was as if God said “it is ok the lake misses him too, you can miss him.” Precious gifts sent from heaven… One day I will get to walk with my father along the crystal seas of heaven. Thank you God for the greatest gift sent from heaven Jesus, your Son, sent to die for a sinner like me. He overcame sin and death by rising again!! Because of Jesus there is hope even in sadness, loss, and death. Joy comes in the morning!! Thank you Anita. I needed that. Love you. May God continue to bless you and use you to bless others.